Imbarcazione inserita il 23/11/2018 da Settemari Yacht S.r.l. - Imbarcazione visitata 655 volte. 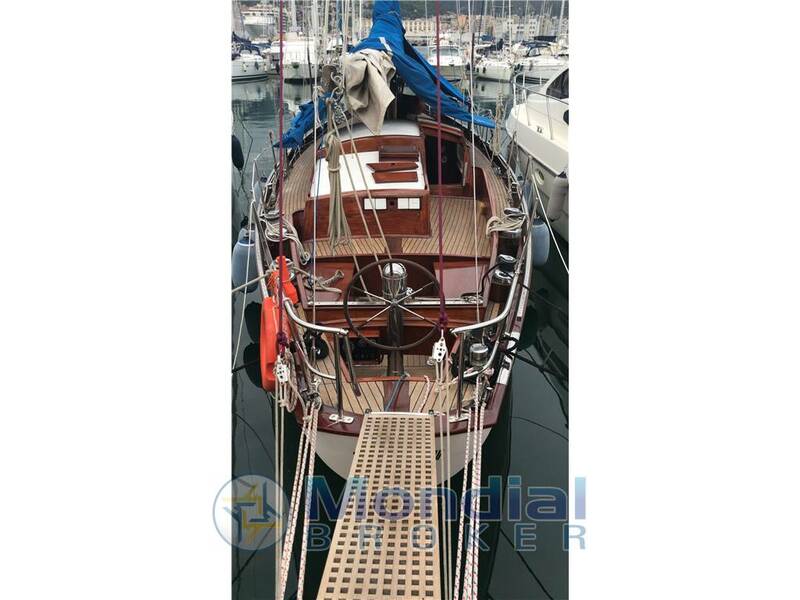 BARCA D'EPOCA SLOOP "KIM OCEAN RACER" COSTRUITO DA F.LLI COZZANI (SP), BEN TENUTA, 2 CABINE + DINETTE, 2 BAGNI, MOTORE AIFO 85 HP, RANDA, GENOA AVV., MPS, TORMENTINA, AVVOLGIFIOCCO HARKEN, ALBERO NUOVO "SILVER SPRUCE", CALZA PER ASIMMETRICO, LAZY-JACK, WINCH HARKEN, CAGNARO COMPLETO, GPS, PILOTA AUTOHELM, VHF SIMRAD, LOG+ECO ST50, SALPANC. ELETTR., CUCINA CON FORNO E FRIGO, TENDER MT. 2,60 + MOT. FUORIB. 9 HP, KIT ANCORAGGIO, DOTAZ. DI SICUR. E ALTRI ACCESSORI. 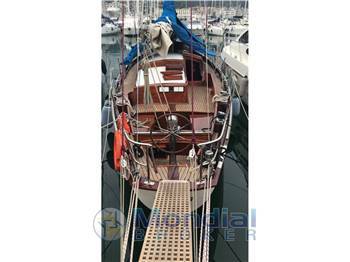 Vintage boat "Kim Ocean Racer" Sloop built by F.lli Cozzani (SP), Well maintained, 2 Cabins + Saloon, 2 Heads, 85 Hp Aifo engine, Mainsail, Roller furling genoa, Mps, Storm jib, Harken genoa furling system, "Silver Spruce" new mast, Asymmetric sock, Lazy-jacks, Harken winches, Weather cloth, GPS, Autohelm Autopilot, Simrad Vhf, ST50 Log+Echo, Electric windlass, Stove with oven and fridge, Dinghy (2,60 mt. )+ outboard engine (9 Hp), Mooring kit, Safety equipment and some more optionals. Altri accessori: Tender mt. 2,60 + Motore fuoribordo 9 Hp, Salpancora elettrico, Paterazzo nuovo, Cagnaro completo. Further optionals: Dinghy (2,60 mt.) + 9 Hp outboard engine, Electric windlass, New backstay, Weather cloth. Spett.le Settemari Yacht S.r.l., Vorrei ricevere ulteriori informazioni su questa imbarcazione ed essere ricontattato.